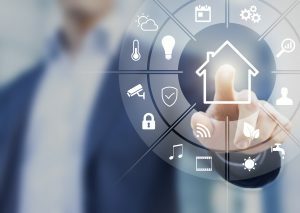 IoT Use Cases: Are You Coming From The Right Perspective? The Internet of Things has been popping up everywhere as the next innovation for industry across the spectrum. To give you some idea, Forbes releases, on average, at least one article about it a week. Telecommunications companies are driving hard on 5g in order to increase the bandwidth required for IoT and bring this technology to the next level. Even large cities like Barcelona, Amsterdam, and San Francisco are redeveloping their entire city around the technology. Companies know how important it is to the future of business and are trying to adapt quickly. In one survey, 86% of responding companies had an IoT solutions plan in place. To put this in context of other performance indicators for enterprise, that is often more than the percentage of companies who believe they provide “superior” customer service. Companies are starting to realize just how essential IoT is going to become in their business practice over the next 5 to 10 years. However, just because companies are in the process of implementing IoT technology, it does not mean that this technology has yet to reach its full potential. Most companies will not see the immediate purported benefits of adopting IoT solution. Each new sensor system will need time to establish baseline data to compare new data sets to. Having the patience to allow IoT deployments to mature before looking for an ROI will be key. 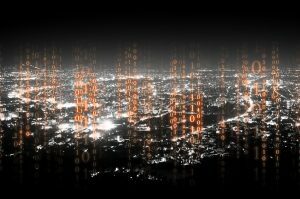 While the implications are exciting, IoT cannot be seen a blanket fix for all use cases in business, as well as cities and municipalities. While IoT is a very useful technology, not every problem can be solved using it. Because fully functional IoT deployments will take months or over a year to gather the complete baseline, the Use Case that drives the solution is of upmost importance to its success. Implementors and project planners must always work use case backwards to decide if IoT is truly the right solution to be deployed for the problem they are looking to solve. IoT will help you make decisions based off the data it provides as long as it has been implemented for the correct purpose and ROI in mind. Did you know that only 8 percent of IoT enabled companies are able to utilize more than 25 percent of their data? Conservative statistics for particular industries, like Oil & Gas, indicate that companies are using less than 1 percent of their data acquired from IoT solutions. Not all data is valuable, some of it literally just creates cost. 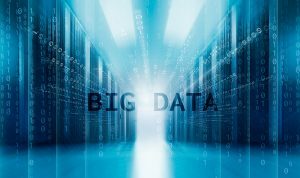 Storage, management, and a number of other costs can be created and amplified if too much junk data is being collected along with minimal amounts of valuable data. The right data is key, which is where extensive data engineering and forking comes into play. The goal should always to be maximize a solution to bring the most amount of valuable data compared to that of the junk data. As this process improves with time, technology and best practices, the disparity between good and junk data will diminish. So, how can companies with existing IoT solutions begin to use their data more effectively and optimize it for their enterprise? We can start to answer this question by looking at companies that are using their data effectively and reaping the benefits from it usage. The important perspective that these companies share is that they come in to IoT enablement with reasonable expectations. IoT integration is a lofty goal, and while it will allow you to optimize your time and financial resources, it is still a complex solution that requires careful planning. Complex solutions breed complex problems. Massive amounts of data that need to be analyzed and operationalized to form actionable solutions can seem daunting. Successful companies start with small, achievable goals and get to work from there. However, once completed and matured, analyzing these IoT aggregated data sets and placing them in context with other key points of data will bring about a cohesive solution that can address complex issues. At Clovity, we help customers leverage the market potential of IoT by building use case specific solutions that are scalable and leverages the latest technology in cloud, analytics and digital front ends. Most businesses today do not know how to properly and effectively integrate IoT technology as a new capability or as a managed service, but Clovity can help with that. To learn more about how Clovity can help your company with IoT, please contact one of our experienced team members. We can show you how Clovity can help drive business by leveraging customized and integrated enterprise solutions. Excellent insides about IoT Use Cases. Keep It coming. I ѕimply couldn’t leave your ԝebsіte. I really enjoyed the usual information an individual supply foг ʏour visitors. I’ll be back regularly іn order to investigate and cross-check new posts. Hi there! Thіs poѕt could not be written mսch better! read. Thank үou for sharing! You can certainly see your skills within the articles you write. There are hopes for even more passionate writers like you who are not afraid to mention how they believe.